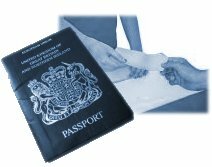 On arrival your passport will be stamped with a visitor's stamp stipulating how long you are allowed to stay. 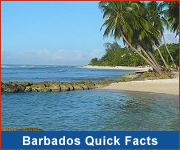 Generally this is a minimum of 28 days but varies depending on a number of factors including your country of origin (Barbados has arrangements with various countries concerning length of stay their citizens). Visitors coming to Barbados may be requested at Immigration to provide proof of adequate means of support for the duration of their stay to the satisfaction of the Immigration officer at the port of entry. A personal bank statement is generally sufficient. You must also be in possession of a valid passport and return ticket. 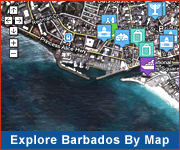 Should you wish to extend your stay in Barbados, you can apply for an extension via the Barbados Immigration Department - tel (246) 426-1011, email immigration@barbados.gov.bb. See the Required Documents for Extensions of Stay. Once approved, your passport will be stamped accordingly. It is an offence to overstay the entry period granted or to work on the island without a work permit.